Riding the waves can be a pretty cool feeling! More and more people are learning the do's and don'ts of 'wave surfing'. we think a surftrip would be a great addition to the WindSurfYoga life. ​on the best spots of Europe. Surf and Sun all year long! - Lunch on your lessons. 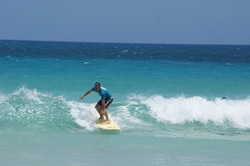 The instructor, Alex, is a passionate surfer, working on the island for many years. He cares for quality and personal classes, so you get the attention and progress you deserve, therefor groups never have more than 6 with one instructor. Want to learn or improve surfing under the sun? Send us a note and start the holiday fun! *Prices can vary due to seasons, inflation and last minute discounts. Would you like an ultimate Boardsport Holiday? The Wind+Surf package offers you all that you need to spend most of your time in the water, having fun! 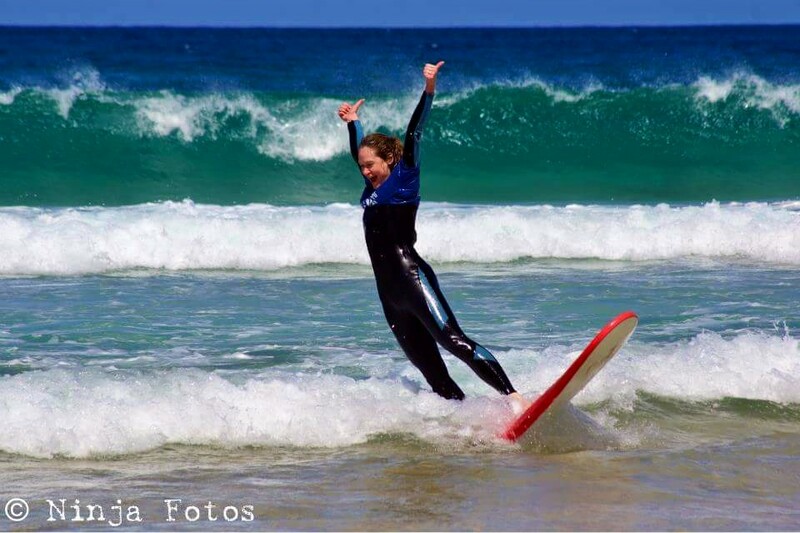 3 days windsurf + 3 days surf with lunch and daily yoga classes. Andalusia, Spain - El Palmar and the west coast get great swell, beginners will have lots of white water and in the back nice hollow waves make this one of our favorite European destinations!! Only 2h from Sevilla and 2,5h from Malaga, great autumn escape! Central Portugal - Foz do Arelho and the surrounding area's; Peniche and Foz are a playground for advanced and beginners.. Beachbreaks, like SuperTubos (world surf competition every october!) ,Baleal and Foz many surfers learned or improved their skills on these waves!